We’ve been researching values-based consumers for several years now, and conversation in the C-suite has progressed from “Are values really important?” to “How do we strategize accordingly?” But every now and then, lingering questions crop up that lead to misguided decision making around values. Here are two common misconceptions — and why they are wrong. 1. We’ve seen this before. The buzz around ethical or socially minded business has ebbed and flowed for decades, and the storyline is familiar: Passionate consumers lobby for change; executives resolve tension by implementing an annual donation or establishing a CSR department. So as consumers’ demands for values-driven companies reach a fever pitch today, how is this any different? Today’s empowered consumers have unprecedented access to information. Consumers are getting smarter at navigating online content and unearthing company news; their internet-sleuthing skills paired with detailed review sites and live video streams mean that they have visibility into almost anything your company does. Consumers also expect your values to be reflected across business functions, not just in ad copy; they can even see how executives treat employees (recall the viral video of Uber’s CEO berating a company driver). Consumers are now more coordinated thanks to social media. Consumers leverage social networks and social activist websites to instigate change across major organizations — not just gradually over time but almost instantly. It’s because social media accelerated and amplified grassroots consumer movements that teen magazines no longer photoshop models and Gatorade dropped a potentially harmful ingredient from its formula. 2. This is all about Millennials. It’s easy to conflate the demand for values-driven companies with a youthful idealism that wants to change the world. Companies might take a stand on values with the sole purpose of appealing to the rising generation of consumers. But this implies that older consumers are less sensitive to company values and less likely to change their behavior according to a brand’s social or political stance. Are values-driven consumers truly a generational phenomenon? Millennials have the highest expectations for brands to take a stand on values. Our Consumer Technographics® data shows that nearly seven in 10 US Millennials actively consider company values when making a purchase — compared with 52% of all US online adults. Older Millennials (ages 27 to 35) are particularly conscious of company values across product categories. But older generations are increasingly sensitive to company values — and this is growing quickly. 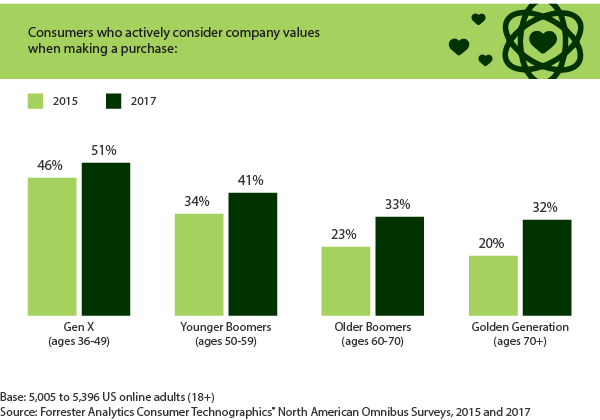 2017 marked a tipping point for Gen X consumers: A majority of them explicitly evaluated company values during a purchase. Across other generations, the trend is moving in the same direction, and values-based consumers already make up a significant proportion: Today, four in 10 Younger Boomers tune into company values, along with a third of Older Boomers. Launching or evolving into a values-driven company requires immense transformation, but brands that don’t do so will soon realize they’ve fallen behind. As my colleagues Jim Nail and Henry Peyret wrote in their recent report, “to survive consumers’ volatile values-reckoning . 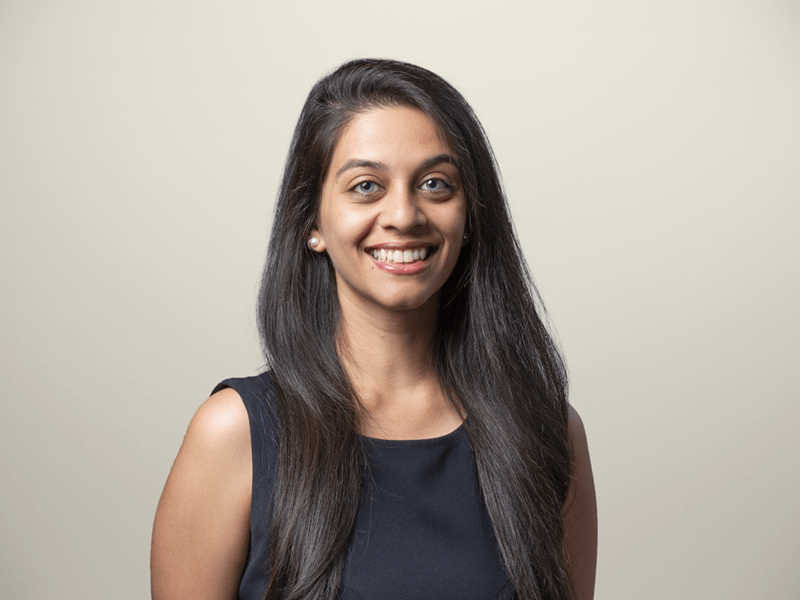 . . marketers must create the context for consumers to make values-based decisions.” More than a fleeting trend or an advertising tactic to attract Millennials, committing to company values has emerged as an imperative for corporate success.